Set high up on a mountain overlooking the Beagle Channel and mountains beyond, this hotel is perched in its very own nature reserve. Relax with some of the best views in the city, or stretch your legs on the trails that leave straight from the front door. The Arakur is set 20 minutes out of town, but the views from its mountaintop perch more than make up for the extra distance. 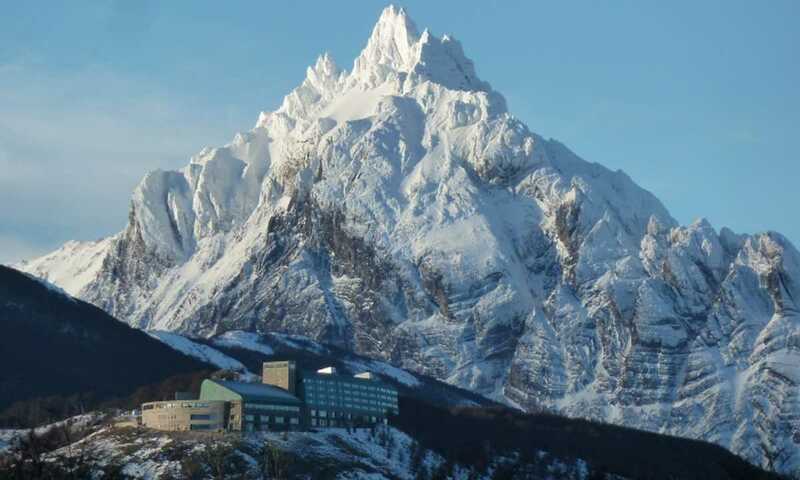 The hotel is designed to make the most of its wow factor: huge windows look down over the Beagle Channel and the city of Ushuaia. Surrounding the hotel is its very own nature reserve, with trails leading right from the door. Head out exploring on your own or join a hiking group with the Arakur's local guides. A hotel that prides itself on its restaurant, dinner is an extensive choice of international and Argentinian dishes, with traditional BBQ meat and fish, all using only the highest quality ingredients. The breakfast here is something to behold; chefs cook omelettes and pancakes to order, alongside an impressive list of breakfast items to set you up for a day exploring. It's the view that really steals the show in the restaurant though, with the views over the Beagle Channel certain to stir up conversation. Elegantly decorated with contemporary design and equipped with the latest comfort technology. 66 of these rooms feature a panoramic view to the south, including a view of the bay, the Beagle Channel and the city of Ushuaia. The other 45 rooms overlook the valleys and the mountains of the nature reserve. With two 1.4 metre double beds you can share this contemporary styled room with your family or friends. Perfect for a couple with two children up to the age of 12, or as an extra comfortable twin room. All 20 rooms offer panoramic views of the Beagle channel and Ushuaia bay. These rooms all offer northern views to the Andorra Valley, they offer a contemporary comfortable design, and can be set up as either a Triple Twin or a King & Twin. If you're looking for a little more room the relax, the senior suits have two comfortable rooms; offering you an additional living space. All suites have an avant-garde decor with all necessary elements to offer complete comfort including air conditioning and a minibar. 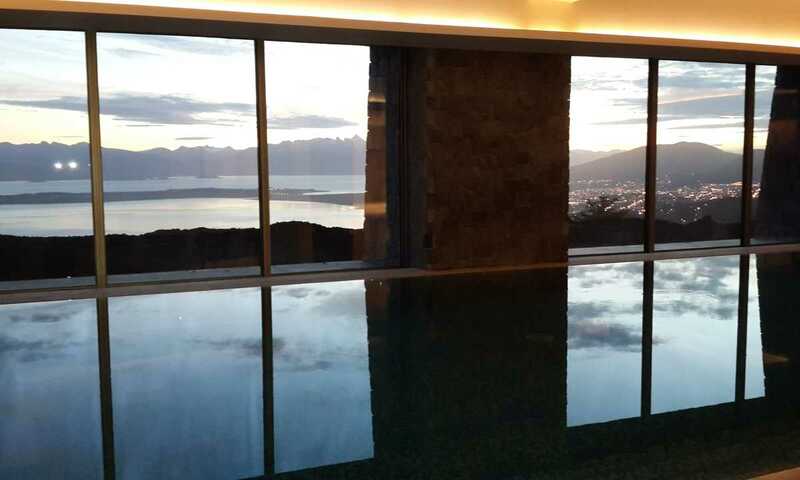 All suites offer a panoramic view of the Beagle Channel and the city of Ushuaia. The Arakur Hotel is open all year round, with prices starting from USD $280 per night for a Superior Double Room at the hotel rate, or from USD $350 per night for a Superior Double Room at resort rate.